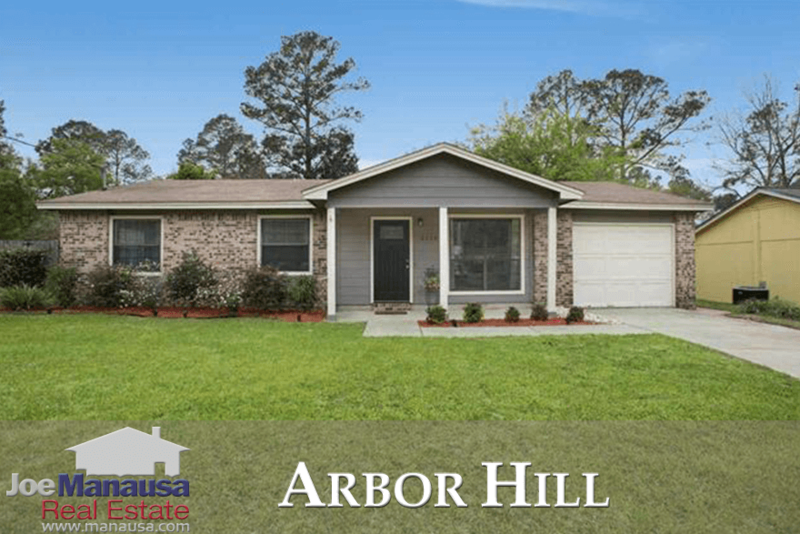 Arbor Hill is a NE Tallahassee neighborhood located at the southern edge of Killearn Estates. Its streets pass right through to Killearn, making it an affordable option for people looking to gain access to the Killearn Estates area. I have been writing about the incredible opportunities in Arbor Hill (see these past reports) for years, and values have moved substantially higher as predicted. While you can no longer steal a home here for peanuts, there are still some great values that make Arbor Hill very attractive today. Remember, buying here is like buying the benefits of Killearn Estates without paying Killearn prices. The following report shows graphs of home prices, home values, and home sizes in Arbor Hill, and concludes with a table of all closed home sales in Arbor Hill going back to 1991. It is important to note that the narrative contained below is for sales through December for all previous years, but through the first week of December in 2017. The graphs and the closed sales table will be continuously updated into the future (meaning bookmark this page if you always want to know the current status of homes in Arbor Hill). Average home prices in Arbor Hill have moved nearly 8% higher this year when compared to the average recorded in 2016, but demand will only be slowed by lack of attractive inventory. Simply put, this is an A+ location that can be acquired for far less than A+ prices. Currently, the average home price in Arbor Hill is $144,700. Home sales activity in Arbor Hill is at an eleven year high, thus sellers should expect a properly marketed home to bring multiple buyers with offers. There simply are not enough homes like these in Tallahassee and builders cannot replicate them at prices even close to where these are selling. 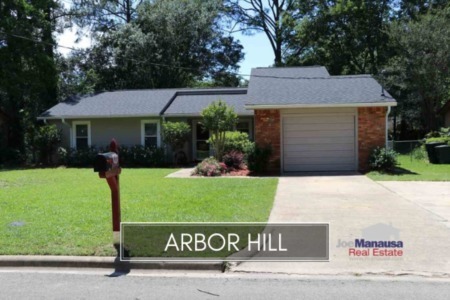 Currently, there are five homes for sale in Arbor Hill and just one of them is under contract. Average home values in Arbor Hill have shot more than 9% this year when compared to the average recorded in 2016 (meaning it looks like back-to-back years with 10%+ annualized appreciation). As strong as this sounds, look to see values move higher again next year. 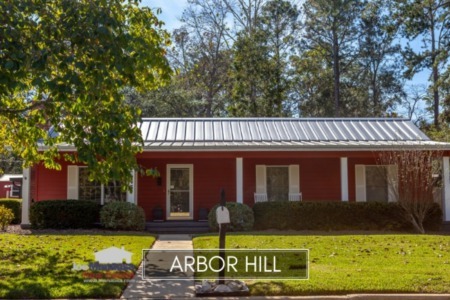 Currently, Arbor Hill trails the market in the recovery, with average home values still 17% lower than peak of the market values recorded more than ten years ago. Through the writing of this report, the average value of a home sold in Arbor Hill has been $117 per square foot. The average home size sold in Arbor Hill typically falls in a range of 1,100 to 1,250 square feet, and the past two years the sales have come at the top end of this range. The 30 home sales in 2017 have averaged 1,254 square feet. The following list shows more than 920 home sales in Arbor Hill going back to 1991. This concludes our December 2017 update on home sales in Arbor Hill, please feel free to give us a call at (850) 366-8917 or drop us a note if you have questions not covered in this report.